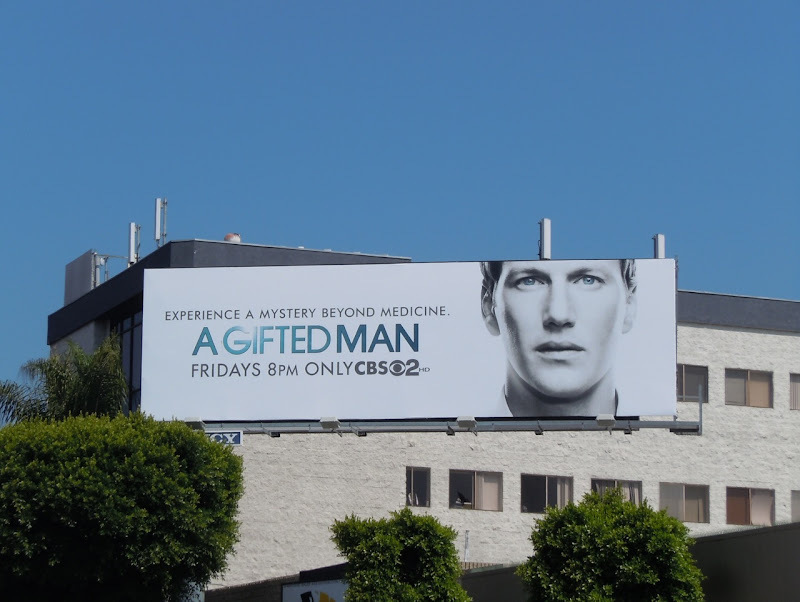 There's no disputing that Patrick Wilson is a handsome man, but those piercing eyes are made even more striking in this billboard because they match the icy blue of the show's title. 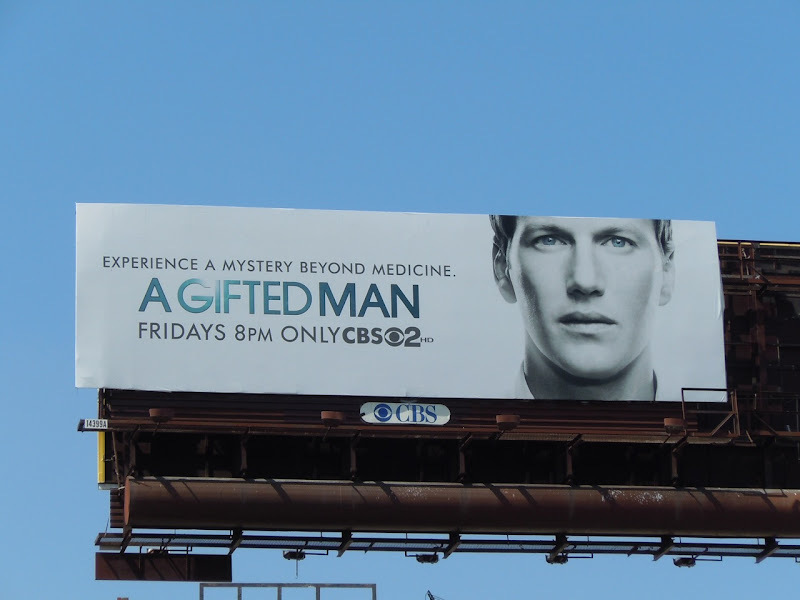 Apparently in this new show those special eyes allow him to see the spirit of his dead wife, making him truly A Gifted Man. 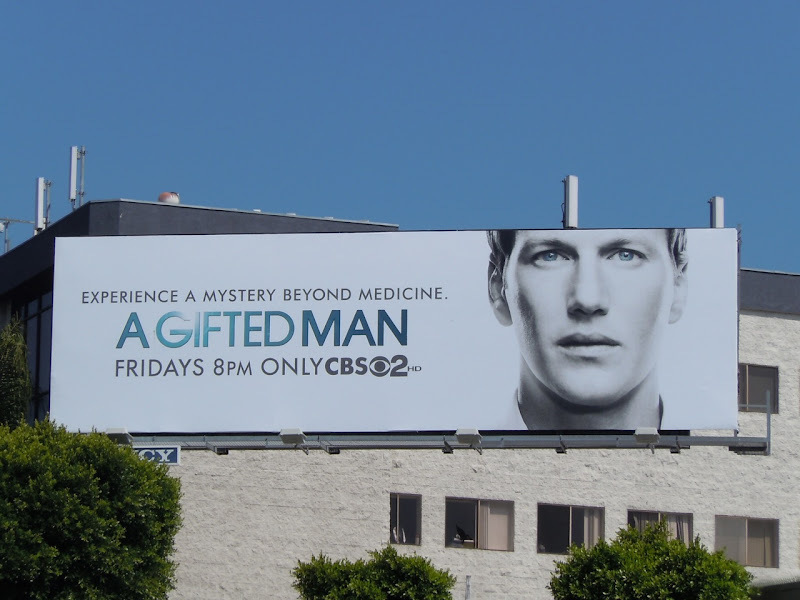 This billboard creative really stands out for its simplicity and was snapped in two locations along Santa Monica Boulevard on August 21, 2011.